I love Karva Chauth. Many women tomorrow will be spending the day fasting from sunrise to moon rise, for the good health and long life of their husband and fiancés. Growing up, Karva chauth was observed in full ritual by my mother, with a lot of love and affection. 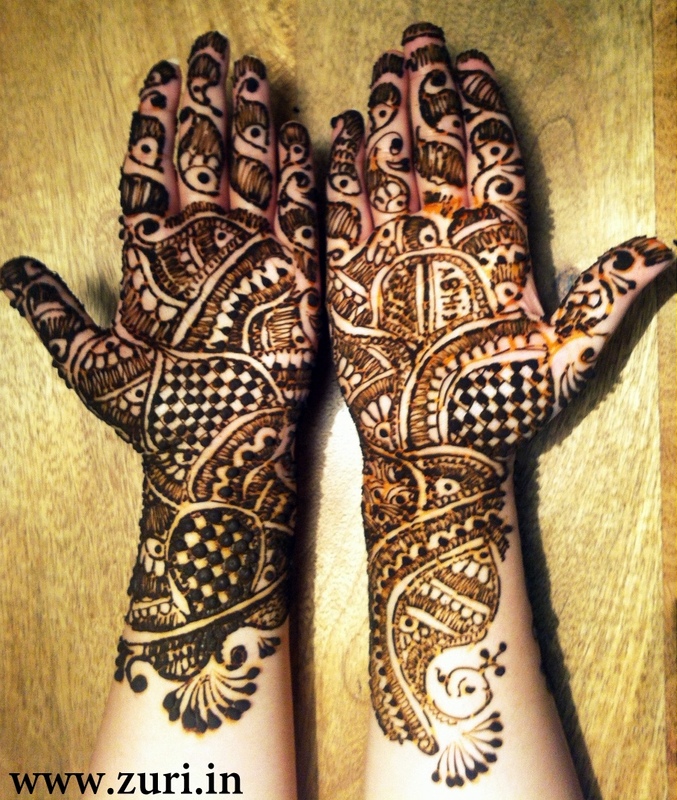 Wearing mehndi in beautiful designs is an integral part of the ritual. As a kid, it would befall upon on me to scan the night sky regularly and inform my mother as soon as the moon appears in the night sky. She would break her fast after seeing the moon, and do a short puja (say a prayer) and only then she would have her first glass of water. As karva chauth is a community festival, many women gather in the evenings, dress up in beautiful traditional garb, and put on stunning makeup. As a makeup lover, it was one of my favourite days – but the thing that excited me the most was seeing all the different mehndi designs on women’s hands. This year, this is the karva chauth mehndi design that I am wearing. Each of the karva chauth mehndi designs that you see in the slideshow are picked by me amongst hundreds available online as the most amazing and the best designs. I am sharing these with you to inspire you. If you are in the mood for something more elaborate, then you can see the mehandi designs that I selected for brides – that go perfectly well with bridal makeup! Zuri wishes all readers of this blog happy karva chauth – may you have an amazing makeup day and enjoy this festival with your loved one!